Atwood furnaces are designed primarily for use in recreational vehicles such as motor homes and travel trailers; they heat the vehicles. Atwood furnaces offer two-stage heating, digital thermostats and self-diagnostics. 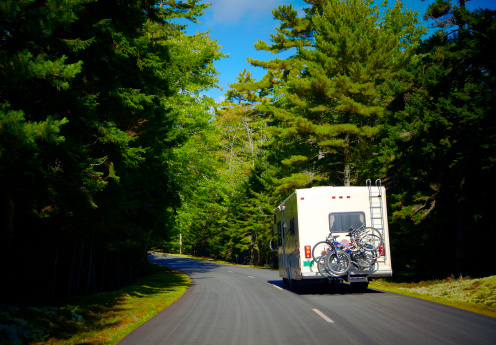 They come in a variety of sizes for different recreational vehicle needs. While most Atwood furnaces come with limited warranties and should operate normally with regular care and maintenance, owners may experience issues occasionally. Troubleshooting these problems as they occur may help fix the problem and restore them to normal use without your having to find a repair technician on the road. Atwood furnaces are handy for use in recreational vehicles that operate during cold weather. Connect the Atwood furnace to a working power supply if the furnace is not starting or running as expected. Replace the fuse if needed. Turn the furnace on to a set point above the current temperature and turn the main switch to "On" or "Auto" if the furnace is connected to a working power supply but is not producing heat. Clear the venting area on the furnace if there is insufficient heat or the furnace is working constantly. Keep soft items, such as carpeting or drapes, away from the furnace. Turn off and unplug the furnace if the heat seems low or inaccurate. Open the main panel on the furnace and take out the filter. Clean the filter with dish-washing liquid and soap, and rinse thoroughly. Set the filter aside to dry, and reinstall it before starting the furnace back up. Contact Atwood with any additional questions or problems.